Kesha believes her keepsake necklace from her mother helps improve her psychic ability. The ‘Blow’ singer’s mother found her daughter’s placenta while looking around in the basement. She crushed it and created a necklace which the singer wears every day to enhance her psychic ability. The placenta connects a baby to their mother in the womb. It just goes to show how many of our celebrities are psychic followers. Kesha is not the only star who discusses freely and casually about her own psychic potential. Actress Bryce Dallas Howard of “The Twilight Saga’s Eclipse” and daughter of director Ron Howard claim she has been secretly psychic for a long time. According to Howard, she is a descendent from a long line of people with psychic abilities. Her psychic ability manifested when she was just an innocent three year old. She predicted that she would be the big sister of two adorable twins, Jocelyn and Paige. In 1985, Bryce told her mother, who was pregnant, that she was very excited about her sisters. Her mother didn’t understand at that time and asked her daughter to draw a picture. Bryce scribbled two figures into the page. Later, her mother went for an ultrasound and discovered she was carrying her twin sisters. Bryce isn’t the only one; her sister too has an amazing psychic gift. Her psychic ability enables her to know what is going on in the lives of people around her. She can walk down the street and can sense what is transpiring in people’s houses, for example if the person is going through a divorce. Psychic talk is prevalent among celebrities.  Many celebrities keep psychics on retainer to utilize their psychic abilities. They use an elite group of Phone Psychics and direct contact psychic readers as well.  Though sadly, most psychic readers cannot share this information with their clients as they are usually tied to disclaimers protecting the celebrity. Hollywood actress Tori Spelling contacted a psychic to speak with her decreased friend Farrah Fawcett. Then, Tori was asked to deliver messages to Farrah’s loved ones, letting them know she was alright. Tori is positive she really met Farrah from the great beyond.